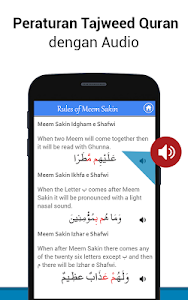 The Malay Quran and translation application is the Complete Quran mp3 with Quran recitation, translation and Interpretation Quran Kareem. 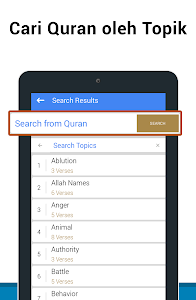 Read the full Quran digital with translation and audio on your smartphone anytime you want. This app teaches you how to read the digital Quran and translation with Tajweed reading by Using audio (mp3) and transliteration features. 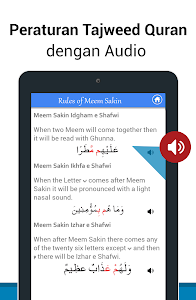 Quran and translation mp3 in Malay language is a free application for android device. 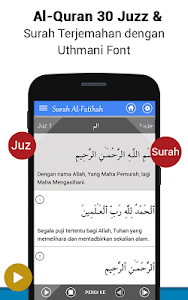 The application of Al-Quran Juz 30 is complete digital version in Malay language. 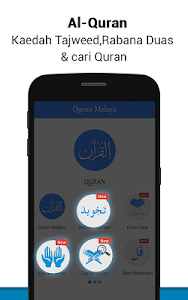 Al Quran malay is embedded with different features, In al quran mp3 you listen to the complete quran in malay language. • All 114 Surahs of the Quran are organized. • Translation of the Quran in the Language Translation to understand the meaning of the Quran. • Quran Transliteration, to help you get hold of the Pronunciation of words. 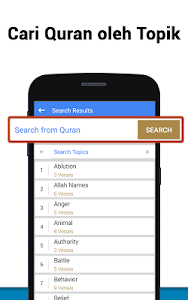 • Reading the Surahs of the Quran, can be downloaded separately or you can download full Quran audio in mp3. 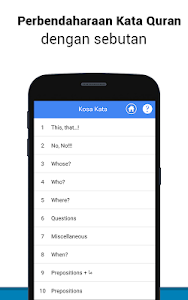 • Use the "goto" option to fossick for specific sentences. • fossick Surah using the fossick bar. • Bookmark a verse to be able to start reading from where you left off. • 3 different Arabic fonts to choose from. • Resize the font you like. • Set your own font and background color. 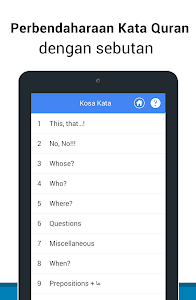 • Select to display translation and Interpretation. • Set notification from the app to remind you of the time for the recitation of the Quran. 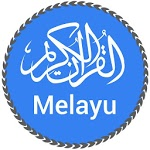 Similar to "Al Quran Bahasa Melayu MP3"